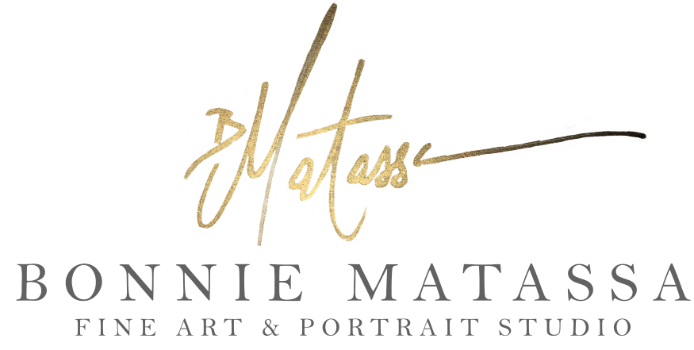 The portrait experience begins with the pre-consultation (in studio, over the phone or in home). During this time we talk about wall space if wanting wall portraits. Do you have a tall and narrow spot above your fireplace? Bonnie will create an amazing heirloom portrait to hang there. Perhaps you want to start a gallery wall that incorporates older images with new one. We can make that happen. No space for large wall portraits? Showcasing your images in one of our luxury albums or keepsake box is the perfect way to show off many images from your session, while preserving this stage in your family's lives. Bonnie will help guide you during this one-on-one pre-session consultation, so that you can feel confident ahead of time of how the end result will be from your session.